When Bodie was recovering from his shunt recovery and pacemaker placement at 2 months old, one of his roommates was an older boy, around 8 or so. 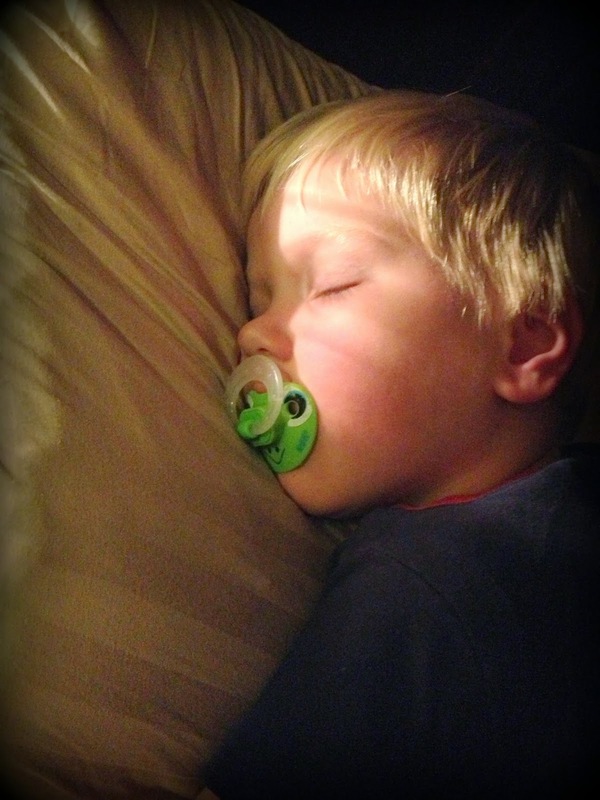 The boy was non-communicative, and lay in his bed all day. I assumed he had always been that way. At a hospital like CHLA, you see so much, so many kids with enormous disabilities, debilitating conditions. I assumed he was in that category, had always had a debilitating condition rendering him unable to communicate, save for low guttural screams out of nowhere, often throughout the night. I can still hear his screams if I try hard. His parents were such nice people. His mom had pictures up near his bed; a picture of a little boy with a huge smile sitting with schoolmates, and another of that same little boy with a much younger boy, goofing off. One day I asked her about the pictures, and she told me that sweet boy, the one with the huge smile and the curly brown hair, was her son. A funny little guy, who loved school and his little brother more than anything. A little boy who had heart surgery and a pacemaker placed as an infant, and had been thriving and living a totally typical life since. A little boy who, a month earlier, had been at Chuck E. Cheese with his younger brother and his aunt, and had collapsed in the parking lot outside. His aunt did CPR, but the massive adrenaline rush he suffered had rendered his heart unable to pump blood to his body. He had suffered a massive stroke. He couldn't walk, couldn't even sit up, couldn't communicate at all. He was now this shell of a boy in the bed next to Bodie's. The term tragic doesn't even do it justice. Two weeks after we were discharged from that hospital stay, he suffered another stroke and died shortly thereafter. Our introduction to the brutality of heart defects was early and swift. It would be months before I would have the courage to ask a nurse about that family, why it had happened, why his pacemaker hadn't prevented it from happening. Her answer would rock me to the core, and years later, would still haunt me. Her kind eyes, the words that he, and his family, had been one of her favorites, that it shouldn't have happened given his cardiac defects. And then, she would say "you know, some of these cardiac kids are just on borrowed time." Borrowed? From what? From whom? For how long? It's such an easy term for a nurse to throw out, for anyone to throw out who doesn't truly have to think about what it means. But so terrifying for a parent to comprehend. I don't think my son is on borrowed time any more than any other child. Certainly not more than the 5-year old killed suddenly in a car accident, or the 10 year diagnosed with terminal cancer. The difference is that, unlike their parents, whose lives are changed unexpectedly in an instant, like being hit by lightning on a crystal clear day, I live every day walking amongst the storms, watching the lightning and hearing the thunder. I measure my steps carefully, listen for the thunder and watch for lightning, and take cover when I can. I think I am doing everything right to avoid the lightening. But still, it might happen - and others will think to themselves "it was so tragic, but we always knew it might happen." To say that our children are borrowed implies that they are not ours, that they never were, that we have them for just a short time before returning them. It seems unfathomable to me that there is more than this moment, more than the sweet kisses and hugs, more than the sweet laughs, the wispy blonde hair across my chest as he sleeps in my arms. More than the mispronounced words, more than the silliness of a 3 1/2 year old who has been through way too much in his short time here on Earth. And yet, we know these are just fleeting moments. We know it from parents who have walked in our shoes before, who look wistfully at us and say "enjoy these moments. They fly. Before you know it, they will be in college..." We know it from grandparents, who grab our children and hug on them until their arms are tired, who understand how fast this time is, how they are only "ours" for such a short time, before they become their own, independent people. And we know it, more profoundly than anywhere else, in the promises of our Lord. We know that our children, all of them, sick or healthy, half-hearted or whole, are His, that we are borrowing them, that He has entrusted them to us for now. That our role as parents is to raise them to know Him, to trust Him, to follow Him with their lives. He promises us that this, all of this that seems so terribly important right now, is just temporal, soon to pass. He promises us a Heaven so far beyond our wildest dreams, beyond anything that our human minds can even grasp. When that day comes, our time here on earth will be exactly that - borrowed. Heaven will be so glorious by comparison that we'll be grateful our time on earth was so short! Bodie is sick tonight. Just a cold, but even so, he's not even 6 weeks out from major open-heart surgery and I am worried. I worry about what might send us back to the hospital. I worry about whether his body is as robust as it was 7 weeks ago. I...just...worry. It is times like this, when my heart hurts at the thought of just how borrowed my time is with my sweet son, that I am especially grateful for the promises of my Savior. I honestly don't know how I'd get through this scary, scary journey without knowing how it will all end. Praise God for his promises of beauty and forever in the midst of the borrowed time we live in. I hope that sweet boy feels better soon!! A big Prayer for Bodie's quick recovery and a Prayer for your worries to be lifted. Worry can paralyze us and take away from precious moments. I wish I could take back all the days of worrying needlessly. The worry accomplished nothing, except to give me white hairs, lines on my face and take all the fun out of life.. Do not worry today. Sing, be happy and enjoy Bodie to the fullest. He will be just fine. I'm a mess, couldn't stop the tears...this is one of the most profound, beautiful posts I've read. Inspiring and heartbreaking at the same time. Thank you for sharing. Thank you for so eloquently writing what many of us are thinking/living. I know personally the immediate post-Fontan with Keaton brought on way too much reality. It all seemed too good and yet I knew even the slightest change could bring our whole world crashing down. Praying for Bodie's recovery to be effortless and swift. Hugs to you! "The difference is that, unlike their parents, whose lives are changed unexpectedly in an instant, like being hit by lightning on a crystal clear day, I live every day walking amongst the storms, watching the lightning and hearing the thunder. I measure my steps carefully, listen for the thunder and watch for lightning, and take cover when I can. I think I am doing everything right to avoid the lightening. But still, it might happen - and others will think to themselves "it was so tragic, but we always knew it might happen." Your words were written straight from the heart of every single CHD mom. It's as though we think the same thoughts. Each of us going along this path, sometimes stumbling, skipping, or running from shadows....and yet we continue on. We are all truly Sisters by Heart. Just remember in your moments of worry and fear, that God chose YOU to care for these amazing little people. Can you imagine them with anyone else? You know they are getting the best care and love and that is all they need. You are such a wonderful mother. I think of all those tiny little ones who were aborted without even a chance to live. NOT GIVEN EVEN A CHANCE. Your angel was given every chance and he will grow up and have a wonderful future. I really related to this post. Thank you. I often wish I could know how it will end. It's the unknown that scares me the most. I once told someone that parenting a child with a CHD makes me feel like a time bomb is on my kitchen table. I have to live with it, never knowing when it will go off. It's not easy. My daughter had her Fontan 14 months ago and is doing wonderful! It will be no time before you are celebrating 1 year later. Hope he gets over his cold quickly! Today was not my favorite day. Pacemakers are great...until they're not.